After Tupac and D Foster: Life for Neeka and her best friend was uneventful until D Foster moved into their Queens neighborhood. Soon they were fast friends and a new world of ideas, music, and purpose opens up to them. Captures the girls' passage from childhood to adolescence and shows the power of friendship and searching for your own 'big purpose' in life. Narrated by one of the friends (who remains unnamed throughout the book), this title 'rings true' to the experiences and emotions of the pre-teen and early teenage years. Jacqueline Woodson has captured the girls' passage from childhood to adolescence in language and experiences that your students or child will certainly relate to. At heart, this title is about the power and impact of friendships on shaping your world view and finding your own 'big purpose' in life. D Foster is only in the girls' lives for a short time, but her is significant and meaningful for the two friends. 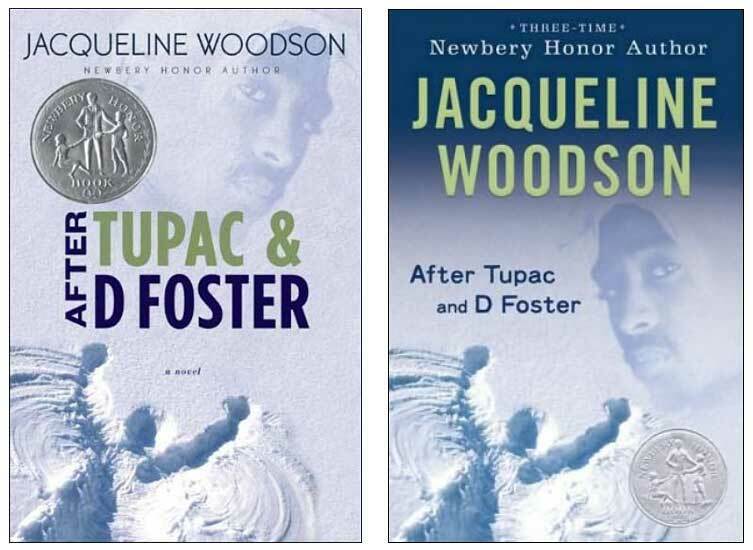 There are two covers available for After Tupac and D Foster--basically just slight variations of the same look (see above). What Is Your Big Purpose? This book surely gets kids thinking about their own 'Big Purpose'. A good reflection activity to have students do after reading this book is to have them write about their own Big Purpose. It's a very tough concept, one that most adults still struggle with, so this is likely not an appropriate assignment for all students. But for students who are ready for it, it can be a powerful way to deepen the experience of reading this book.